So says Michael J. McFarlin (futuresmag.com/) in edited excerpts from his original article*. At the most basic level, a bond is a loan. Just as people obtain a loan from the bank, governments and companies borrow money from citizens in the form of bonds. A bond really is nothing more than a loan issued by you, the investor, to the government or company, the issuer. For the privilege of using your money, the bond issuer pays something extra in the form of interest payments that are made at a predetermined rate and schedule. The interest rate often is referred to as the coupon, and the date on which the issuer must repay the amount borrowed, or face value, is called the maturity date. One wrinkle in the equation, though, is that not all debt is created equal with some issuers being more likely to default on their obligation. As such, credit rating agencies evaluate companies and governments to give them a grade on how likely they are to repay the debt (see “Good, better, best”). Ratings generally can be classified as investment grade or junk. Anything that’s considered to be an investment grade, you would have a fairly high probability that you’re going to get your money back at maturity [but] the lower you go down the credit spectrum, the more risk there is of default and the possibility that you could have losses. Therefore, the lower the security grade you have, the more yield compensation you should have for taking that default risk. [The above being the case,] if you purchased a 30-year U.S. Treasury bond (currently AA+ from S&P and AAA from Moody’s and Fitch) for $100,000 with a coupon rate of 6%, then you could expect to receive $6,000 a year for the duration of the bond and then receive the face value of $100,000 back. At least, that’s how a bond would work if you held it to maturity. Rather than hold a bond to maturity, they also can be traded but, as a bond is traded, interest rates can change, so the overall value of the bond can change. If you bought a bond that has a 10% coupon and the rest of the market is fine with owning a 1% coupon, then someone is going to love to have that 10% coupon until maturity. Conversely, if you have a 1% bond and everyone else is expecting that the market in general will be at 10%, then you’re going to need to pay someone a lot of money to take that 1% bond instead of buying a new 10% bond. Because coupon rates generally are fixed, to adjust for future expectations the price of the bond or note has to move up or down. If yields, the interest or dividends received on a security, go up, the price will fall to accommodate that higher yield; if yields go down, then price has to go up. The U.S. Treasury futures market is gigantic and one of the most active and liquid markets in the world and is an easy place to buy into or get out of because bid-ask spreads are very narrow. Bonds, traditionally, have provided a more conservative type of investment than equities. Treasuries tend to have a negative correlation to the equity market so, if the equity market becomes very fearful, Treasuries will tend to rally [and, as such,] is a place to hedge or diversify your risks from a portfolio perspective. [That being said,] though, this inverse relationship is not as reliable as say, gold and the dollar. Bonds often rally on bad economic news and sell off on good news. A poor Gross Domestic Product (GDP) or employment report may lead the Federal Reserve to lower interest rates, leading to higher bond prices. Positive GDP and jobs reports or an inflationary Consumer Price Index report may indicate inflation will rise, causing the Fed to raise rates and push bond prices lower. the bond pits are open when most of those major reports come out and this is important because the bond market is a measure of interest rates, which are determined by economic conditions, so economic reports, especially those that measure the economy and inflation, drive the market. The major Treasury contracts, five- and 10-year notes and 30-year bonds, are based on a 6% coupon rate equaling par or 100-00 as is the ultra-bond which is a 30-year bond that has at least 25 years left to maturity. Each full tick is worth $31.25; there are 32 ticks in a point or handle, equaling $1,000 per contract. Five- and 10-year notes also have 32 ticks in a point, but each tick is subdivided. The 10-year is traded in half-ticks with each half-tick worth $15.625, and the five-year is traded in quarter-ticks with each quarter-tick worth $7.8125. Because longer-term Treasuries tend to have higher yields, they tend to be more sensitive to interest rate movements. A news event that may cause a full handle move in the long bond typically results in a 16-24-tick move in the 10-year and less than a half-point move in the five-year. Start with five- and 10-year notes, and trade multiple contracts [because] if traders can use a stop of one tick in five-years, two ticks in 10-years, then they can get entry prices you like, and lower your risk [and,] although there may be “less bang for your buck” than in the 30-year, there also is less risk. You can learn how to get in the market, manage your trade, eke out a few ticks a day. That’s unique because for guys that trade the S&P, that’s not really even an option. [In] addition, trading a second contract helps you protect your profitable trades…With a two-lot working, if the market goes your way one tick, then you can take one off, move a stop to scratch and then who knows what may happen. Getting started in bond trading is just like learning to trade any other commodity. You have to observe all the different types of relationships to understand what it is you’re trading, and know how and why it moves the way it does. Bonds don’t trade in a vacuum [and, as such,] you’ve got to be aware of the influences that are out there. 1. 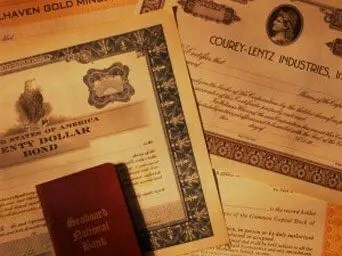 Gold Bullion, Stocks or Bonds: Which Have More Long-term Investment Risk?